The game’s level cap has also been raised. 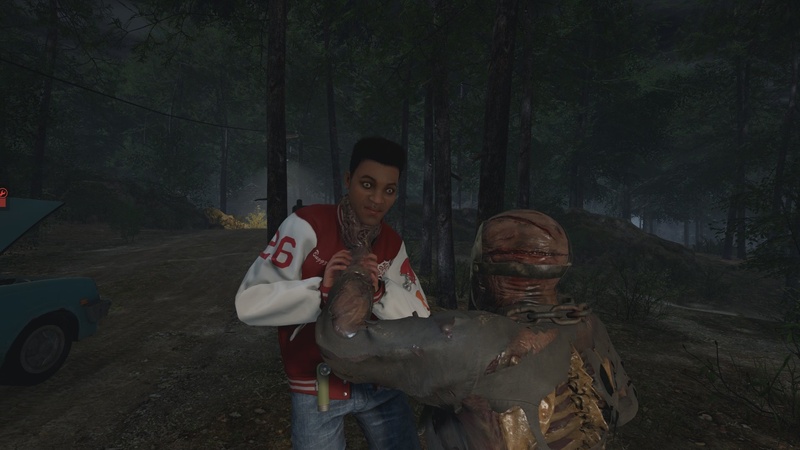 Developer Illfonic has released a sizeable new update for Friday the 13th: The Game, an update which adds in a brand new offline training mode with bots, an increased level cap (and accompanying rewards), and a limited-time holiday bonus event. An offline practice mode where players can take on the role of Jason and hunt AI-controlled bot counselors. Those who use the mode can select from three different difficulty levels for the bots and they can also choose how many different counselors are in a match (between one and seven). An increase to the maximum level cap from level 101 to 150. Those who push past 101 towards 150 will unlock new rewards for their efforts including two brand new kill animations and new ‘bloodied’ outfit variations for Jason, and new clothing options for counselors. A few holiday bonuses which go into effect starting today. Between December 18 (today) and December 23, the chance of rolling a Rare or Epic perk is increased. Then, from December 23 to December 27, the chance of finding both Pamela and Jarvis tapes is increased. Finally, from December 23 to January 2, players earn double CP from all activities except for leveling up. The update which includes all of the above additions should be going live today for the PC and PlayStation 4 versions of Friday the 13th: The Game. As for Xbox One, Illfonic says it should follow shortly, though no specific timeframes could be given as of the time of this writing.